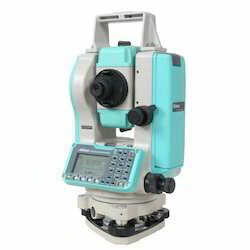 Survey Instruments Nikon Total Station, Theodolite, Auto Level. 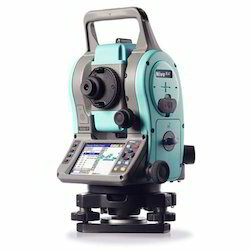 Nikon introduces the DTM-322+ Total Station that delivers an economic, versatile, and easy-to-use platform to make sure you get the job done right. Nikon's legendary optics effectively allow in more light to give you brighter, clearer images. 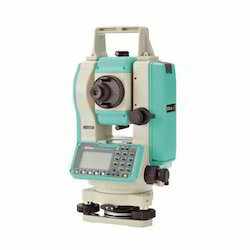 Owing to our proficiency in this domain, we are engaged in offering our clients with a wide gamut of NIVO C Series Total Station. 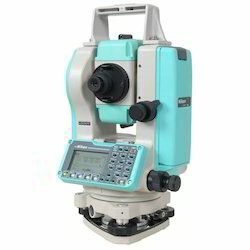 it is designed with high productivity in mind, including a dual face display for efficient high precision angle and distance measurements. Manufactured as per the requirements and specifications detailed by our clients, this product is highly cherished among our clients. Moreover, offered range is manufactured by experts who possess immense domain expertise and are well aware of latest technological developments in the industry. Further, clients can purchase this product at pocket friendly prices. The NPL-322+ Total Station delivers an economic, versatile, and easy-to-use platform to make sure that ensures you get the job done right. Nikon's legendary optics effectively allow in more light to give you brighter, clearer images. Using the same rechargeable long life Li-ion battery are the Nivo series, combined with low power consumption design, the NPL-322+ provides the longest possible time in the field. Nikon introduces the DTM-322+ Total Station that delivers an economic, versatile, and easy-to-use platform to make sure you get the job done right. Nikon's legendary optics effectively allow in more light to give you brighter, clearer images. You'll see the difference when you look through a Nikon Total Station even in the low-visibility conditions typical in the field. You'll see much more detail and much less distortion, especially over longer distances. Better optics help you aim more precisely, and they're much easier on your eyes - something you'll really appreciate on long workdays. The Nikon DTM-322+ Total Station is among the fastest total stations in its class, so you can move quickly through your routines and spend less time in the field. The DTM-322+ is rugged and lightweight - at 5kg (11 lb) including the battery. Using rechargeable AA batteries, the DTM-322+ is designed to consume low power and provide the longest possible time in the field. Off-the-shelf AA batteries can also be used as a back-up to provide even longer life. 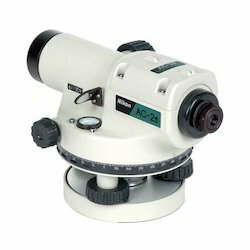 DTM-322+ is available in a 2" dual face model and a 5" single face model to meet your specific accuracy needs. The Nikon DTM-322+ is built tough for all occasions. 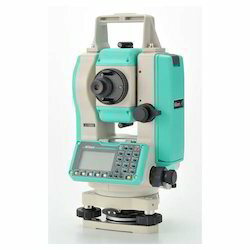 Looking for Nikon Make Survey Instruments ?